This unique unescorted summer experience will leave you in awe of the beauty of Canada's North. Adventurer Level: This is our most flexible and economical level package, with a larger-sized group (40 people), to allow this traveller to customize their own experience in Canada's North. This tour is unescorted and provides guests with the lodging and transportation basics. I flew into Winnipeg today and I am so excited to get to Churchill tomorrow! My home for the night is the Four Points by Sheraton Hotel, which is just across the street from the Winnipeg airport. After checking in, I head to an evening meet and greet held by a representative from Frontiers North. Our tour is unescorted - the Frontiers North rep will not be travelling with us to Churchill - so the meet and greet gave our group the chance to ask some last-minute questions about our adventure. In the morning I walked over to the airport with a few others from my group and checked in with Calm Air for the short flight to Churchill. 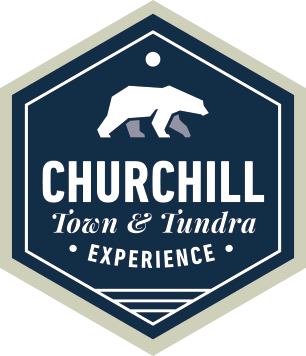 Our first day in Churchill encourages guests to learn about the history and culture of the town. Upon arrival, we head straight out on a Churchill and area tour, which comprises of an exploratory drive past various points of interest in and surrounding Churchill. Our driver stopped briefly at Manitoba Conservation’s Polar Bear Holding Facility so we could get out and take photos. Don't forget to bring your bug spray! After our tour, the bus dropped our group off at our hotel for check in. I chose to spend my afternoon visiting the Parks Canada Visitor Centre and Churchill’s Itsanitaq Museum, which houses one of the most extensive Inuit Art collections in the world. For dinner I met with a couple of my fellow travellers at the Tundra Inn Dining Room and Pub - lucky for us it happened to be open mic night so we stayed for a pint and enjoyed the show! Today is our first encounter with Churchill’s beautiful beluga whales! After a light breakfast at our accommodations, I met with the rest of the tour group at Sea North tours and we were bussed down to the port for our morning on the water. 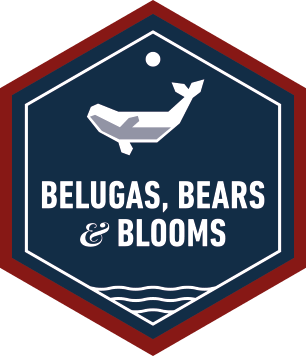 They take us on a three-hour boat tour on the Churchill River, zipping up and down the river beside pods of curious whales. This excursion also included a stop for a walking tour at the historical Prince of Wales Fort where a Parks Canada Interpreter teaches us about the famous explorers who lived at the fort in the 18th Century and how they managed to survive in Churchill’s harsh climate. After lunch on our own, we head down to Wapusk General Store for our next activity. We are transferred to join a local dog musher for an exciting dog carting excursion through the boreal forest – what a rush! Our host Dave Daley introduced us to his team of sled dogs and explained to us the importance of dog sledding in northern culture and history. Our third day in Churchill started with Zodiac boat tour, giving us a chance to get even closer to the extraordinarily friendly beluga whales. Once again I met with the rest of the tour group at Sea North Tours and head to the water. Once we boarded the Zodiac and headed into the river estuary we saw how curious and friendly the beluga whales were. They seemed to love the bubbles from the Zodiac’s motor – they followed us so closely! The afternoon brought us on an adventure into the vast and colourful Churchill Wildlife Management Area! We met at Fifty Eight North - Home of the Tundra Buggy - and a Frontiers North representative took us out to the Tundra Buggy dock area to begin our tour. Once we boarded the Tundra Buggy and our driver gave us a safety talk, we headed out onto the tundra in search of summer polar bears, arctic foxes, hares and more types of plants and flowers than you can imagine growing in the North! Our tour allowed us to learn from our Tundra Buggy Driver about the many different types of plant life and animal life that are native to the Churchill area. The landscape was so colourful and beautiful and our Tundra Buggy Driver shared a wealth of knowledge about the area. What an adventure! My Churchill adventure is over and I’m heading home – but I have a lot of wonderful photos to show my friends and family. I can't wait to plan my next Churchill adventure!